When I was at the Food Bloggers of Canada Conference in Vancouver last month, I met one of the people from SPUD. 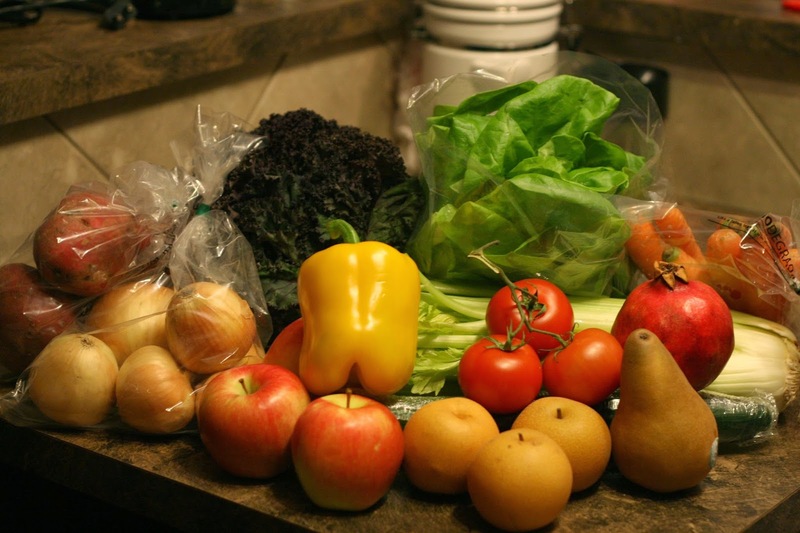 SPUD is a grocery delivery service which focuses on sustainable and organic produce. When I talked to Julia, the Communications Manager for Vancouver, she mentioned that SPUD Edmonton had just launched so I was more than excited to try it out. When you sign up for the SPUD service on their website you can pick and choose what types of produce, meats, snacks, dairy, fish and more that you want delivered in your box. Our box featured their Fresh Harvest Box. Once you order your box they let you know which day your box will be delivered. 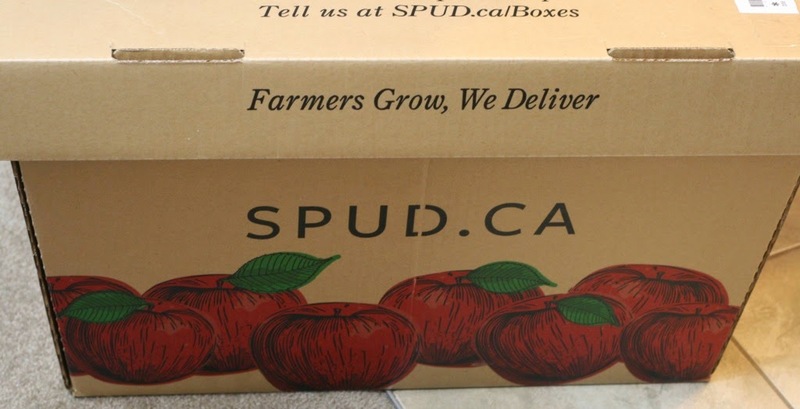 For us, we were told that our SPUD box would be delivered on a Tuesday between 3pm and 9pm. Granted, the time frame is very wide which makes it difficult for someone to be home during that time period. Thankfully, you are able to put in special instructions and/or indicate a safe place for them to deliver your box. We were super excited to open our box when we received it. All of the produce including the veggies and fruits looked fantastic and fresh. Care was even taken to ensure that the tomatoes would not get crushed as they were placed into a paper bag. There is also a divider in the box to help keep produce in place. If you want to try SPUD out they have a great discount where if you buy $60 or more you will get $40 off your first order before November 15, 2014! 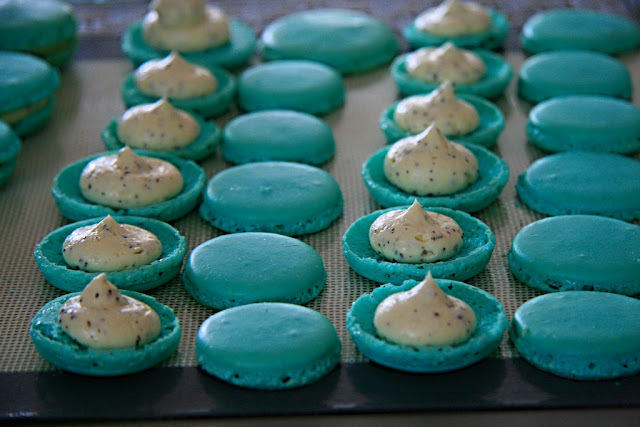 Just use my special code CREDM-ZZZLIL or click here. SPUD is also in other cities! So if you are in other cities in Canada such as Calgary, Vancouver & area or Victoria to Nanaimo, you too can take advantage of their services. They are also in San Francisco & Bay Area and Los Angeles & Orange County in the States. With the great produce that we got, I decided to use the carrots in a dish to highlight how fresh they were. 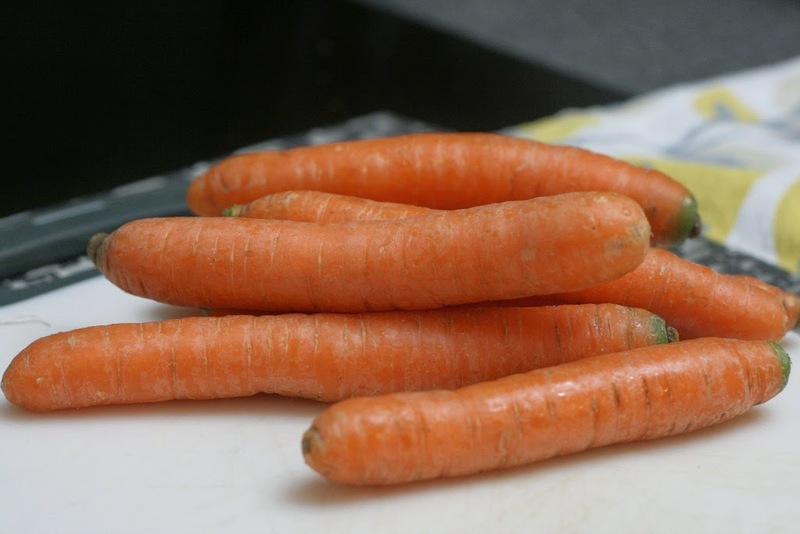 Cut the carrots with a sharp knife into even pieces. 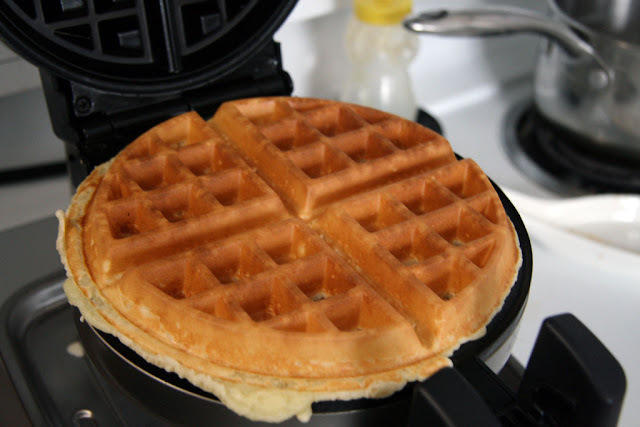 This will help them cook evenly. 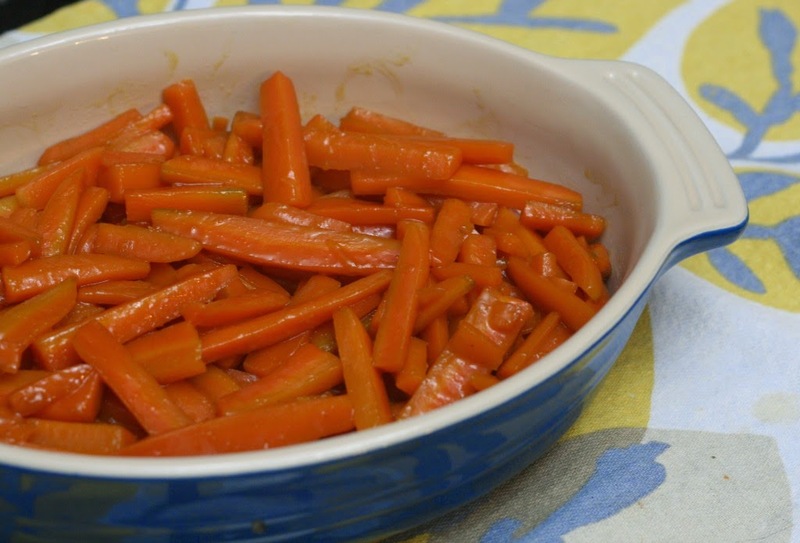 In a large pot add 1 cup of water, butter, brown sugar, a pinch of salt and the cut carrots. Turn the temperature up to high. 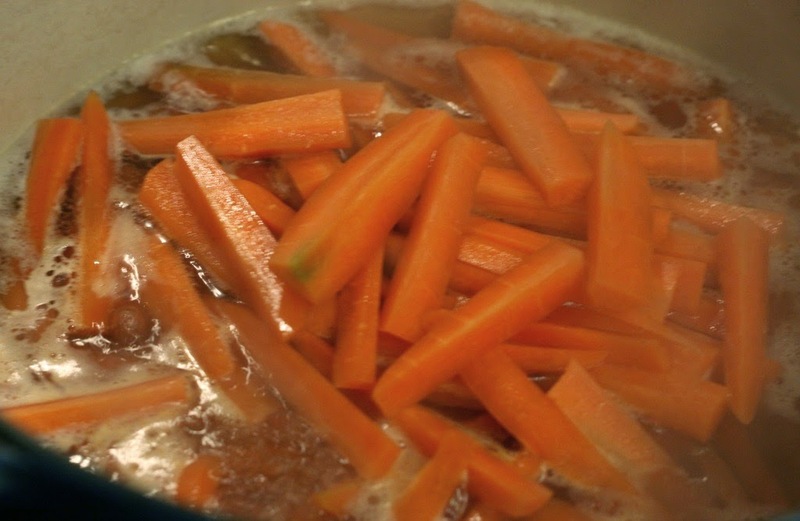 Once the water mixture begins to boil, stir the carrots and turn down the temperature to a simmer. Place the lid on the pot for 6-7 minutes. 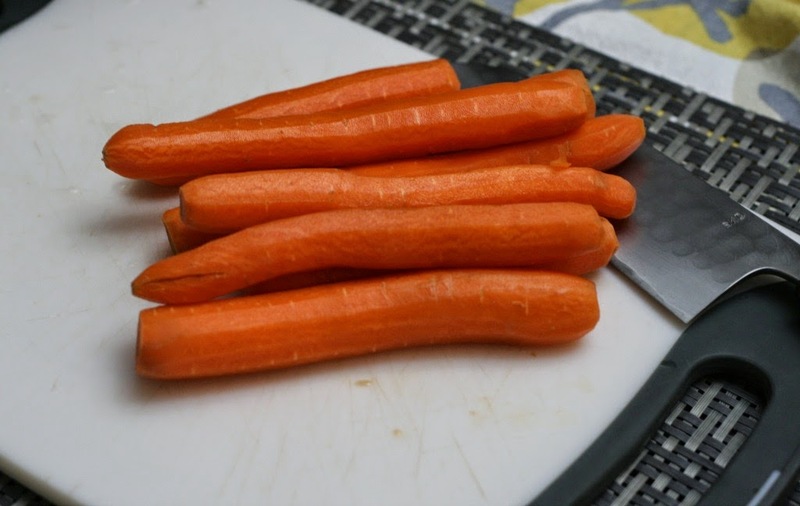 Using a flat spatula gently stir the carrots around until they are soft enough to eat. Serve & enjoy!